To celebrate National Iced Tea Day today (6/10), visit a participating Teavana® store for a FREE 16-ounce Pineapple Berry Blue iced tea on June 10, while supplies last. 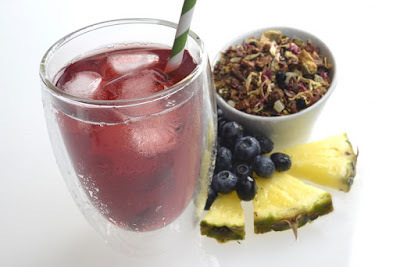 With juicy, vibrant berry flavors blended with sweet tangy pineapple, Pineapple Berry Blue is refreshing when served iced, perfect for those warm summer months. No purchase required.